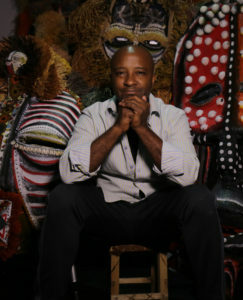 My work is rooted in rich traditions of the Chokwe and Luba peoples of Angola and DR Congo. While the stories they tell are complex, they are designed to be simple, serene, and to bring peace to their surroundings. At-risk youth require an inner strength to achieve success, a drive that cannot come from academics alone. Engaging children with their own African heritage through dance, music, and folklore promotes a more holistic form of education and one that makes great contributions to the confidence, character, and academic success of children.